On Saturday, March 11, third-year University of Michigan Landscape Architecture Masters Students held their final studio presentation in the community that was the focus of their studies. Looking at a variety of ideas for branding and development throughout Detroit’s Warrendale neighborhood, the LA students presented concepts ranging from a neighborhood who identified themselves by the avian habitat at the core of every block to a booming Panicum virgatum biofuel industry providing a source of sustainable heat to the neighborhood. Each design was underpinned by the importance of green infrastructure and reducing or eliminating the amount of stormwater reaching DWSD’s over-stressed sewer system. Holding the final presentation in the community rather than in the studio helped minimize that inevitable cognitive dissonance that occurs between a student in a classroom with a map and real people living in real places. 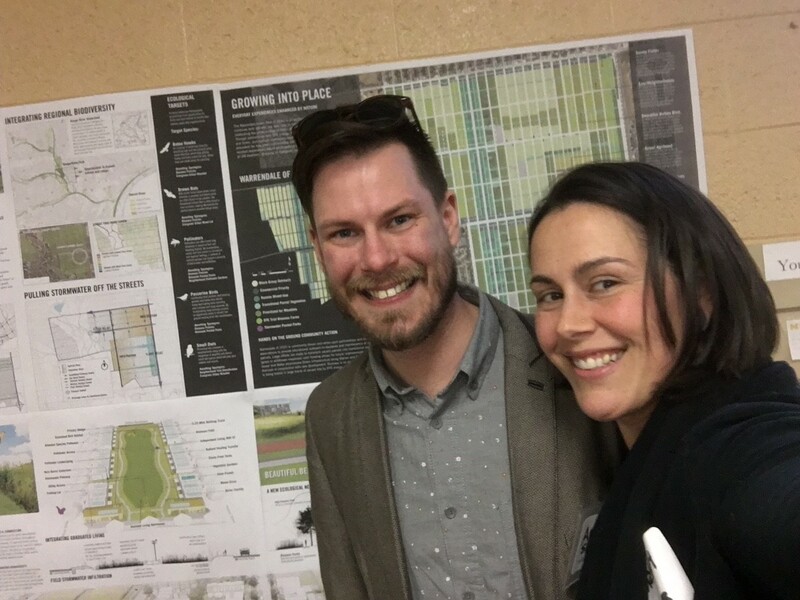 livingLAB was excited to be a part of this event to learn, provide feedback, and engage in conversations about design, Detroit, stormwater, and big plans for little parts of our city. Thanks, as always, to Professor Joan Nassauer for her timely and relevant studios that expose students to the topics and conversations on the tongues of every planner, designer, and landscape architect in Detroit! Prev - It’s official! Lauren is a Licensed Landscape Architect! Next - 2017-2018 Kresge KIP:D Grant Projects Announced!